2 Corinthians 11:16-30. Paul offers a fascinating defense of his ministry and of what qualifies him for leadership – a defense that would disqualify him by human standards. But as is often the case, the Kingdom of God operates with a different set of metrics. Genesis 40:1-41:14. 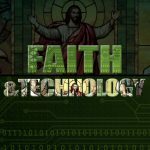 Most of the great characters of faith in the bible had long seasons of waiting and of seeming silence from God. Joseph in the Genesis story is no exception. Wrongly imprisoned, he spends two plus years in prison. How was Joseph impacted by this season of waiting? What can we learn from his example? Genesis 12:1-4; 17:1-17. All of faith takes place in this season of waiting — longing for the day when Christ sets all things to right. 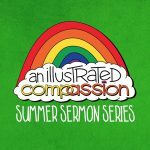 For those of us who don’t like to wait (i.e., all of us), what can we learn from the stories in the bible about patience? Perseverance? Waiting? Galatians 3:26-29; 1 Timothy 2:11-15. In his letter to the Galatians, Paul seems far ahead of his cultural stage when it came to views on race and gender and slavery. But yet, his first letter to Timothy seems so regressive and archaic. How do we reconcile this? Galatians 3:26-29; Colossians 3:18-4:1. How do we reconcile Paul’s awe-inspiring words “there is neither slave nor free” alongside his enigmatic instruction, “slaves, obey your earthly masters”? Matthew 22:15-22. 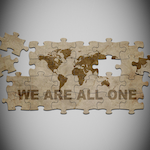 How do we embrace a life of community in a world that pushes us toward individualism? Matthew 22:15-22. What is discipleship? It must be more than a love for the scriptures for surely nobody loved the scriptures more than the Pharisees. Matthew 22:15-22. When the Pharisees tried to trap Jesus with a question about taxes paid to Caesar, Jesus brilliantly turned the tables on them. Matthew 2:1-2; 22:15-22; 20:25-28; Luke 19:41-44. In the Jewish story, there were many “stars” who claimed to be the Messiah. But there is only one story that still commands our attention 2000 years later. Luke 2:1-21. 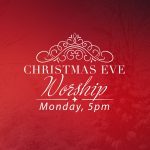 Luke’s Christmas story is one that proclaims good news, a savior, and the arrival of peace. Caesar Augustus had already been making the same proclamations for fifty years about himself … which makes the Christmas story far more relevant and politically charged than we tend to read it. Matthew 2:1-12. 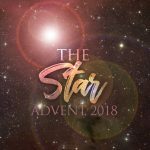 Matthew’s Gospel tells us that a star rose in the East at the birth of Jesus. In our world, this is often viewed as a quaint miracle, but what did it mean in a world in which every king believed their destiny was written in the stars? Luke 15:11-32. 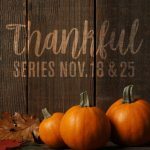 In this Thanksgiving week filled with the joy and messiness of family and friends, we reflect on the messy and beautiful love of the father in the story of the Prodigal Son. Philippians 1:1-11. Paul writes to the church at Philippi with such joy and thankfulness. On this Sunday, we gathered and shared some stories of thankfulness for our little church from within our faith community. Matthew 5:38-42. To “turn the other cheek” is more than a nod to pacifism. It offers a third-way of being in the world. Matthew 5:33-37. “But I tell you, do not swear an oath at all … Let your word be ‘Yes, Yes’ or ‘No, No.’” Once again, Jesus takes a well-known Old Testament thought and expands upon it beautifully – and meaningfully for us today. Matthew 5:31-32. This text about divorce and infidelity is about so much more than first meets the eye. Matthew 5:27-30. In this text, Jesus draws a connection between lust and hell. How should this impact our sexual ethic? Matthew 5:21-26. Jesus takes a common phrase from the law, “do not murder” and expands upon it, moving from external compliance to internal transformation. 2 Kings 5:1-3, 9-14. When Naaman travels from Aram to Samaria to be healed from leprosy by the prophet Elisha, his response to Elisha exposes a tendency in all of us. Philippians 4:4-13. How do we live with contentment and gratitude in a culture that literally makes-its-living on creating dissatisfaction and discontentment? Deut 15:7-8; Prov 22:22-23; Isa 1:17; Jer 22:3; Mic 6:8; Rom 12:13; Mt 25:37-40. Stories from our church’s recent mission trip to Guatemala. 1 Corinthians 1:18-25, In Week 1 we talked about how our brains are shaped by our habits. How have language and the written word shaped our brains and the way we think about God? 1 Corinthians 13:4-8, 11-13. How is social media adversely impact community? What can we do to minimize the impact? Genesis 2:8-9; 15-17; 3:1-7. How is technology shaping and reconfiguring our brains? 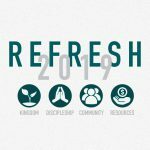 Is it true that we “become what we do”? John 5:1-9. Jesus heals a man who had been waiting near the pool of Bethesda for 38 years to be healed. 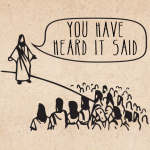 In the healing story, Jesus asks a profound question and offers a powerful challenge. Luke 7:11-17. When Jesus encounters a funeral process preparing to bury the only son of a widow, Jesus intervenes in the most remarkable of ways. Mark 10:17-27. On his travels, Jesus meets a rich young ruler. Through their conversation, we learn how hard it is for the wealthy (i.e., all of us) to enter into the life of the Kingdom of God. Matthew 9:35-38. Jesus describes himself to his disciples as both the Shepherd and the Gate. The gate metaphor is more nuanced (and beautiful!) than one might think! The journey of scripture – which begins with Law, moves through Prophets, and ends with Wisdom – is meant to be a model for our own journey of faith. Proverbs 26:4-5. As American Christians, we often turn to the scriptures to (1) give us simple rules to follow, and (2) to sanction our privilege. There is a more faithful reading. Matthew 5:17-45. In the sermon on the mount, Jesus repeatedly says, “You have heard it said … but I say …” Jesus is giving us a new lens through which to read and understand scripture. He is giving us a new hermeneutic. 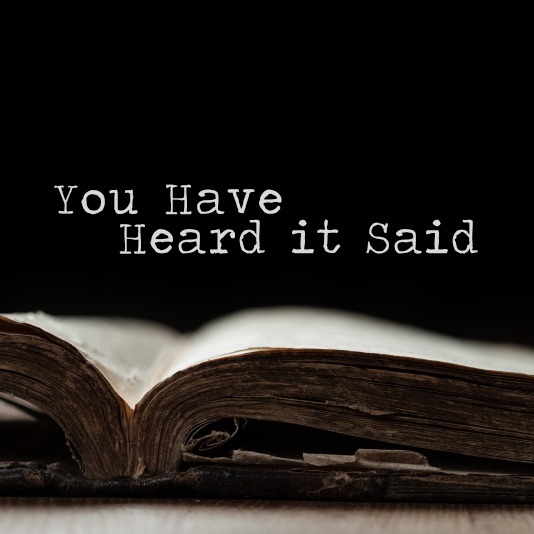 5/27/2018 – You Have Heard it Said – Part 4 – The Word and the word. John 1:1-15; 14:15-27. In many church circles, the Holy Trinity has effectively become the Father, Son and the Bible. Today’s sermon attempts to remedy this error. Genesis 1:27-28; 1 Samuel 15:3; Leviticus 12:1-5; 21:17-23; 25:44-54; Proverbs 23:13-14. How is it that we so easily turn the word(s) of God into weapons? 2 Timothy 3:16-17; Mark 7:5-8; Mark 2:23-27. How does Jesus approach the scriptures? 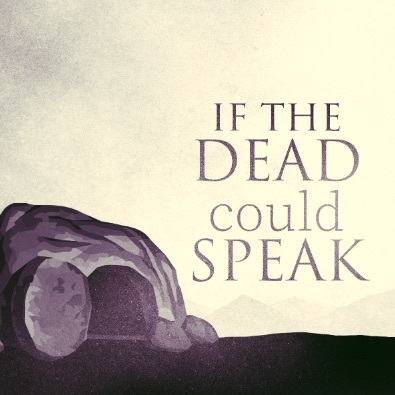 If the Dead Could Speak – Part 3 – God, where are you? John 20:19-29; 21:15-19. 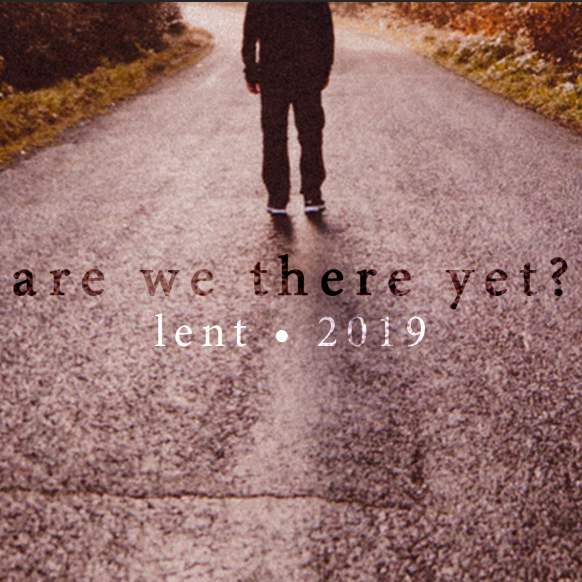 The stories of Peter and Thomas remind us that regardless of the nature of our doubt – doubting God or doubting ourselves – He is willing to meet us in it. Luke 22:7-20; John 13:4-17. 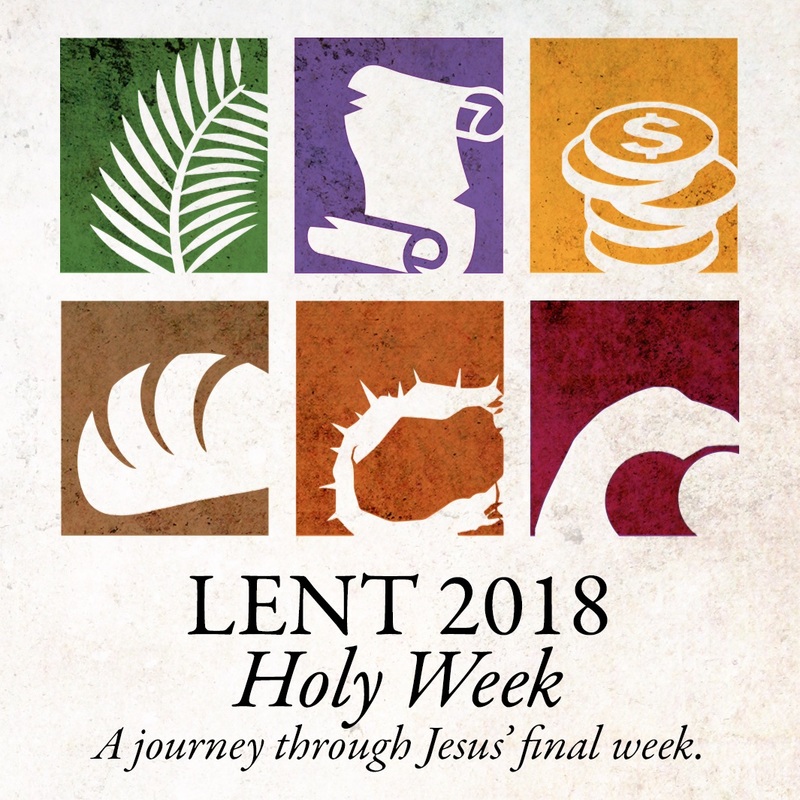 “Do this in remembrance of me.” Jesus final meal with his disciples recalls the ancient exodus story (liberation from slavery in Egypt) but also adds new meaning to the Passover meal — speaking to an even deeper liberation that Christ brings. Luke 22:1-6. How was it possible for a disciple who walked with Jesus for 3 years and witness His unfathomable goodness to then betray Him to be tried and crucified? How are we similar to Judas?